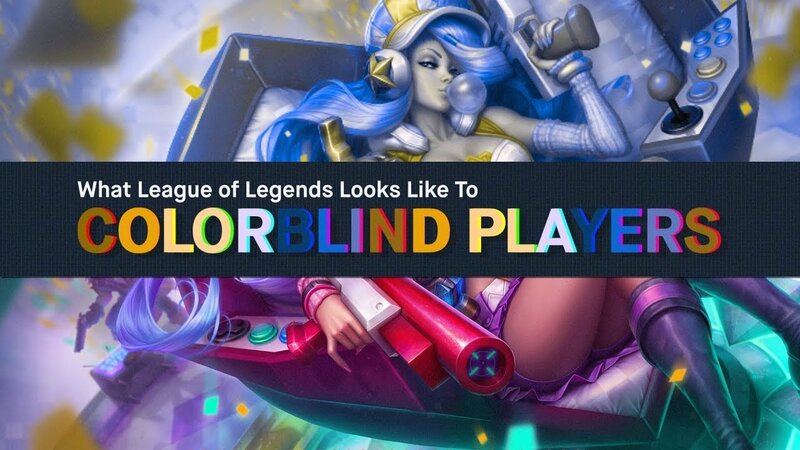 Ever wonder how colorblind players see League of Legends? Take a look. Colorblindness affects roughly 300 million people across the world -- around 1 in 12 males and 1 in 200 females. That means there are thousands of League of Legends players, both casual and competitive, that experience some sort of color vision deficiency -- kinds that can make Arcade Miss Fortune look electric blue, or Olaf’s beard a bubbly pink. If you’re colorblind, you might think Blood Moon Thresh is just regular old Thresh, or that the entire Elementalist Lux lineup is... extremely unimpressive. There are a number of different types of colorblindness, but the most common types boil down to red-green colorblindness and blue-yellow colorblindness, conditions where one of our three color processors isn’t working correctly. Most people are affected with some type of red-green colorblindness: Protanopia and deuteranopia, and their less sever counterparts, protanomaly and deuteranomaly. These colorblind types suffer from defective (or missing) red or green wavelength receptors. Reds will look greyish, oranges appear dim, greens and yellows mix together, and it’s hard to tell blue and purple apart. With this type of colorblindness, Gnar’s W effect looks nearly invisible on grass, and this assortment of friendly and enemy Caitlyn traps is just one mysterious minefield. Singed poison is nearly invisible, and even your own health bar would be unclear. In fact, before the Summoner’s Rift update, red-green colorblind players couldn’t even tell minions apart. These have been some of the biggest colorblind issues in League of Legends history, but every part of the game looks just a little different to those with red-green colorblindness. Let’s take a look. There’s also the much less common Tritanopia and Tritanomaly, or blue-yellow colorblindness, that results from problems with our blue sensors. Blues turn into a kind of teal, purples get a little redder, but the biggest difference is that yellows and oranges will look pink. Really pink. In fact, the entirety of Summoner’s rift looks like an ashy watermelon wasteland. Tahm Kench and Pulsefire Caitlyn ended up getting hotfixes, but for the wide spread of color problems, League of Legends has a colorblind mode for red-green colorblindness, geared mostly towards Deuteranopia. In this mode, red and green assets are usually replaced by more noticeable yellows and blues, or different brightnesses are used to add more contrast. Health bars are a bright yellow instead of murky red, and Gnar’s W is now a more visible orange. You’d be able to tell apart Caitlyn cupcakes, and Singed is no longer spewing invisible poison trails. 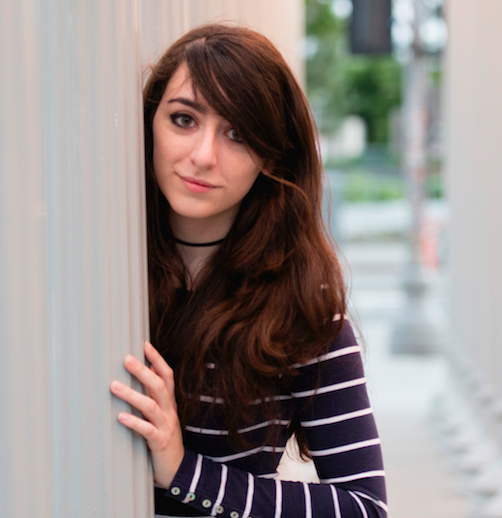 There currently is no colorblind mode for other types of colorblindness, mainly because they are so much rarer. Accurate statistics are hard to gather, but blue-yellow colorblindness appears in less than 1% of the population. Monochromacy (a total loss of color vision) shows up much, much less often. Outside of League itself, modern technology can also lend a hand. Companies have developed special glasses to help some cases of red-green colorblindness. The lenses are specially made to enhance reds and greens by blocking out mixed wavelengths of light between the two colors. There also exist online apps and plugins that can offer similar color correction on your smartphone or computer. While colorblind mode helps players see the best of League of Legends, the quest for a color equal game isn’t over. With developers implementing changes based on community feedback, improving correction technology, and increased awareness, Summoner’s Rift is getting a little bit clearer every day.